With electro-mobility and autonomous driving, the automotive industry is pushing forward with two global projects for the future at once. This dramatic change is currently gathering momentum: by as early as 2030, one in every two new vehicles worldwide is slated to be electric-propelled. Laser technology and imaging have a pivotal role in breaking into the mass market. 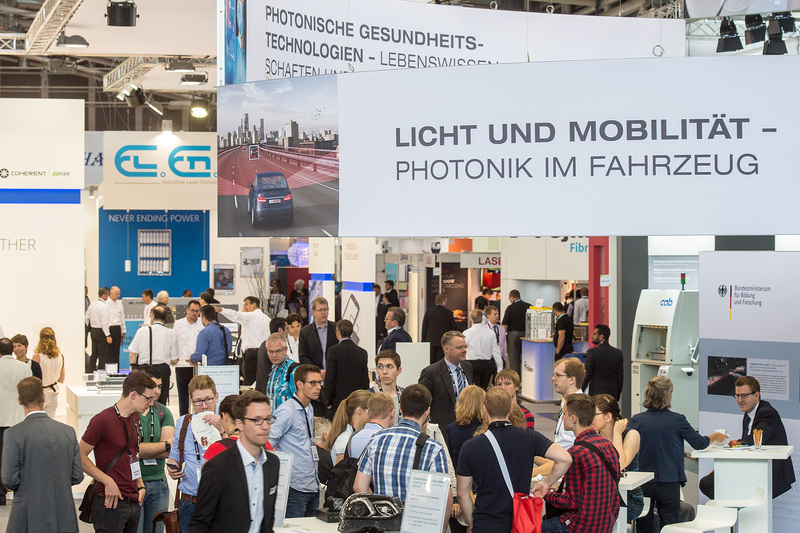 Leading providers will be showcasing the latest solutions for the mobility of tomorrow at the world’s leading trade fair LASER World of PHOTONICS in Munich from June 24 to 27, 2019. 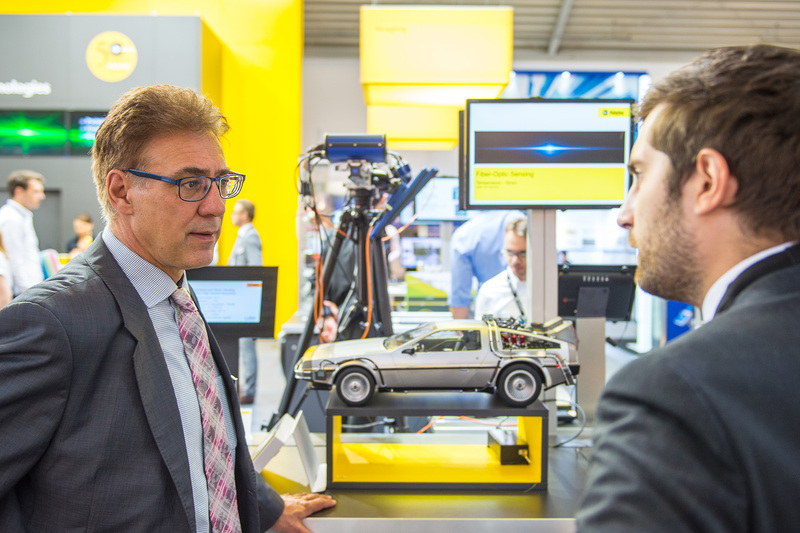 LASER World of PHOTONICS 2019 takes a look at two automotive industry global megatrends. 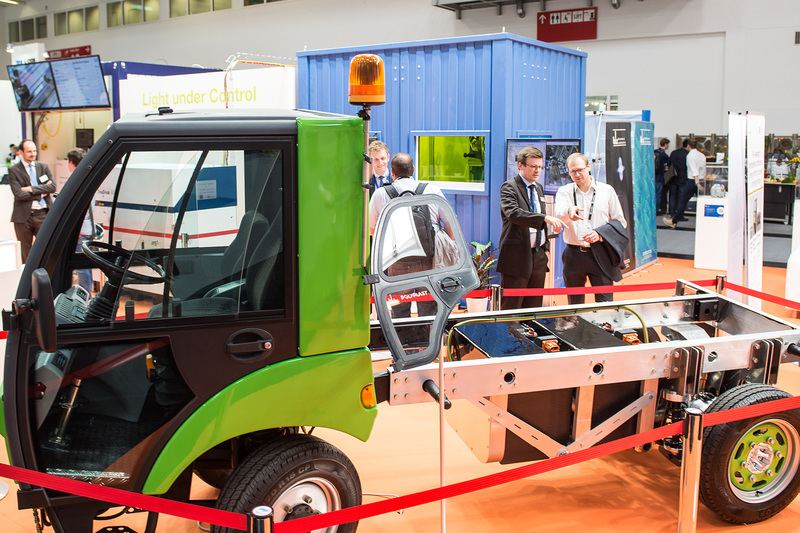 Leading laser technology and imaging system providers will demonstrate how their solutions are contributing to the efficient mass production of electric vehicles and the key role smart sensors play in autonomous driving. The very fact that from 2019 onward China will be setting an electric vehicle quota of ten per cent for new vehicle registrations is driving a dramatic growth in the world market to more than three million vehicles. Market observers anticipate that by 2025 one in every four new cars worldwide will be electric-propelled. And the forecasts for 2030 are for an electro-mobility market share of between 50 and 75 per cent. This dynamism poses enormous manufacturing challenges for established and new car manufacturers. Manufacturing safe, reliable and affordable electric vehicles in large volumes requires them to create a new process ecosystem. Lasers are already performing all the welding processes in battery factories and a rapidly increasing number of cutting and structuring tasks. The manufacturing input into the high voltage batteries that are used is enormous. One third of an electric vehicle’s added value is accounted for by this process chain alone—considered to be the very nucleus of electro-mobility. Lasers are just as indispensable here as seamless in-line process monitoring. The same is true of the mass production of electric motors, power electronics or lightweight designs. Providers such as TRUMPF, Coherent|ROFIN, II-VI HIGHYAG, IPG-Laser GmbH or Manz AG provide the laser processes. The important thing here is that the joining and cutting of different metals does not cause any splatter, because this would quickly become a safety risk in battery operation. Moreover, longevity requires absolute accuracy in terms of gas-tight and watertight weld seams. Manufacturers rely first and foremost on fiber and disk lasers and highly flexible process strategies involving variable intensity and focusing of the laser beam. Imaging specialists such as KEYENCE, STEMMER or PCO contribute in-line inspection solutions. These are indispensable in cell manufacturing, because cell service life and operating safety are frequently a question of nanometers and micro-meters. Sensors measure electrode thickness, monitor the homogeneous distribution of active materials, and control all the rolling, drying, cutting and welding processes, enabling production defects and deviations in tolerances to be immediately rectified. The danger if they go undetected is expensive scrappage, because more than three quarters of the cost of a lithium-ion cell goes on material and process costs. Laser and imaging technologies also provide the necessary accuracy and flexibility for the production of millions of electric motors, power electronics and lightweight components, or 3D-printed metals and plastics. Laser-welded hairpins are replacing costly windings in electric motors. Laser-cut electrical sheets offer clear advantages compared with mechanically machined sheets in the variable production of different types of motor. And last but not least, lasers play a key role in bionic lightweight construction involving additive processes or fiber composites. In a nutshell: the efficiency and range of electric vehicles, and their affordability as well, stands and falls in each case with photonics solutions. In a current compendium, the McKinsey Center for Future Mobility declares 2018 to be the pivotal year for the automotive industry. This sector, it says, in the electro-mobility and autonomous driving arenas alike, has transitioned from the planning phase to implementation—accompanied by massive investment. Photonics provides the technological backbone of automated driving. Camera and radar sensors, and, ever more frequently, laser-based LiDAR (light detection and ranging) systems are replacing human drivers’ sensory perception—being superior to it especially at night and in difficult weather conditions. As optical sensors generate volumes of data in the terabyte range every hour, the trend is towards intelligent sensor systems that perform their own data analysis in deciding which data to forward to the on-board computers. Photonics is again the enabler here, because the necessary computing power in the most confined of spaces, allied with efficient data transmission would be completely unthinkable without laser technology and optical inspection in the semiconductor industry. 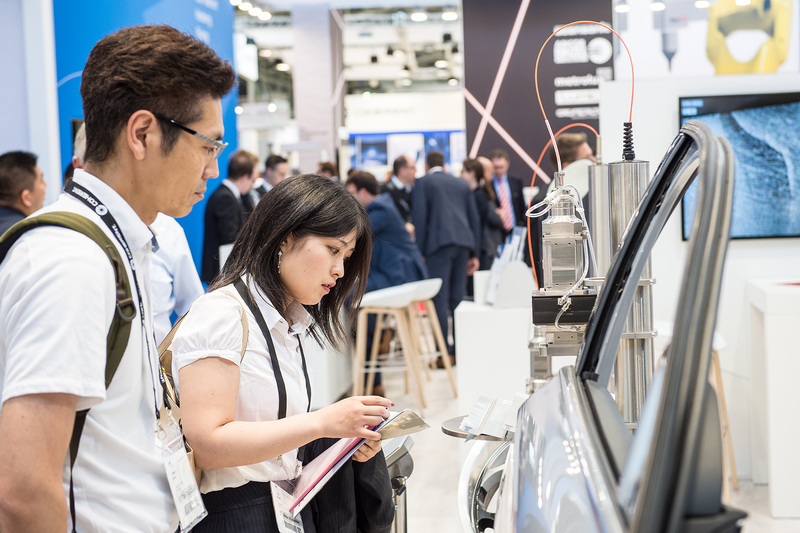 Alongside numerous exhibitors at the trade fair, the World of Photonics Congress and various application panels are focusing on enabling technologies for future mobility. 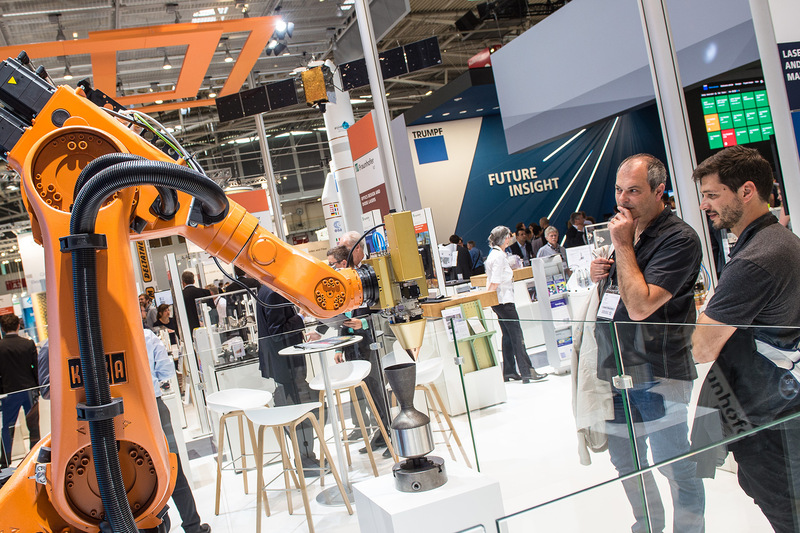 Be it laser machining and additive manufacturing at LiM 2019—Lasers in Manufacturing, inline inspection at Imaging and Applied Optics or optical metrology and digital optical technologies at the Optical Metrology and Digital Optical Technologies conferences. And visitors can also find out about the up-and-coming LiDAR technology at an application panel where experts from exhibitors such as Jenoptik will give an introduction to the technology and showcase concrete applications.